When you think of the dangers posed today by pertussis, commonly known as whooping cough—actually, why would you? 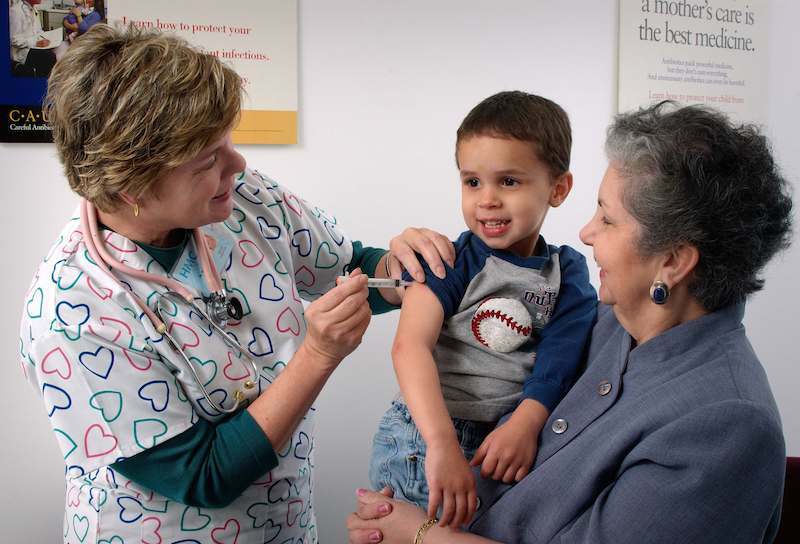 There’s been a vaccine for pertussis since the 1940s. Before then, an average of 178,00 cases were reported in the United States each year. By 1976, that number had dropped to less than 1,000. But 40 years later, in the first 8 months of 2014, Los Angeles County alone has over 1,300 reported cases of whooping cough. The state of California has 8,000 cases and has declared an epidemic. We’re not at this point because of some strange new mutated strain of the disease. No, whooping cough is back because more and more parents—particularly on the affluent West Side of Los Angeles—are refusing to have their children vaccinated. For decades the Diptheria, Tetanus and Pertussis (DTaP) vaccine has been plagued by accusations that it causes comas, seizures or brain damage in a small percentage of children. Innumerable studies have been done and shown that’s not the case; new forms of the vaccine have been created to prevent any such risks. Still, parents in growing numbers are dismissing all that. On the West Side of Los Angeles 9 percent of parents have turned in “personal belief exemption” forms that allow their children to attend school without receiving DTaP or the Measles, Mumps and Rubella (MMR) vaccinations. At some schools, such as Kabbalah Children’s Academy in Beverly Hills or the Waldorf Early Childhood Center in Santa Monica, the rate of refusal is over 50, even 75 percent. What’s happening in Los Angeles is part of a national problem. The Centers for Disease Control has over 17,300 reported cases of the disease in 2014, a 30 percent increase over the same period last year. In recent years Vermont and Washington State have each had epidemics. Pertussis has the chilling honor of being the only vaccine-preventable disease in the United States associated with a rising number of fatalities. You can’t criticize parents for trying to protect their children. Who can say with 100 percent certainty that these vaccines might not cause harm in a few cases? No one. So better safe than sorry. Except clearly this is not safe. And there’s no such thing as 100 percent certainty, not with any drug or any medical procedure. In point of fact children today are more likely to suffer brain damage on the monkey bars at school than from a DTaP. If only their parents would stop reading anti-vaccine propaganda on the internet for a moment and think about that. Actually, most schools have banned monkey bars, running, dodge ball, slides, see-saws, merry-go-rounds and any other activity or equipment that might lead to injuries. A bit sad. It's a scary trade-off for most parents - the odds of their child contracting the disease v. their child becoming one of the cases of healthy children becoming brain damaged from vaccines. Unfortunately, the medical establishment has yet to come up with any kind of marker so that high-risk children can be excused. Perhaps that should be a focus of the research for the future. My own pediatrician stopped giving one of my children the pertussis shot after the first because of fever, and extreme redness and swelling at the injection site. I was grateful that he didn't push me to complete the series and that the only reaction was local. That might not have been the case had the series been completed. I would have refused additional shots had he wanted to complete the series.